Fiat is one of 5 bidders for Italy's oldest coachbuilder. TURIN -- Fiat S.p.A. confirmed it will make a non-binding offer to buy struggling Italian contract manufacturer Carrozzeria Bertone S.p.A.
Fiats offer is one of five for the dormant coachbuilder. The others bidders include Italian entrepreneurs Gianmario Rossignolo and Domenico Reviglio, Chinese automaker FAW Group Corp. and an unnamed Spanish consortium. The deadline to make bids for the Bertone unit is July 16. Italian bankruptcy court administrators plan to name the winning bidder by the end of the month. This is Fiat's second attempt this decade to take control of Bertone's coachbuilding business. 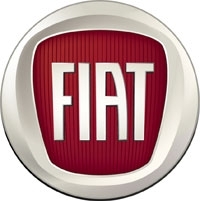 In 2006, Fiat started negotiations to buy a controlling stake in the company. It planned to make a coupe cabriolet for the Lancia brand at the plant. For undisclosed reasons, the talks between Fiat and Bertone collapsed in spring 2007. Shortly after that, Fiat scrapped plans to make the coupe cabriolet, which was known as the Fulvia. This week, Fiat declined to say what it plans to build at Bertones Turin factory, which has an annual capacity of 70,000 units in two shifts. With three shifts, capacity could reach 100,000 units a year. Fiats offer is limited to the company's industrial activities. After a buyer for the plant is found, the Bertone trademark will be auctioned off separately. Lilli Bertone, widow to Nuccio Bertone, whose father founded the company in 1912, confirmed she is still interested in buying the Bertone trademark. Italys oldest contract manufacturer stopped volume production in December 2005. Rossignolo has submitted a new bid for Bertone. His plan to make an aluminum sports car at Bertone was halted at the end of 2007 by a rival bid from Reviglios company Keplero, which wants to use the plant to make low-emissions passenger cars, vans and trucks. The Italian media have reported that FAW is bidding for Bertone. FAW is one of Chinas largest automakers. It has joint ventures in China with Volkswagen AG and Toyota Motor Corp. FAW also has a license to produce cars for Daihatsu and Mazda. FAW does not sell or build cars in Europe. Bertone still employs about 1,140 people, down from the 1,450-person work force it had at the end of 2007. The Bertone family lost control of the coachbuilding business when bankruptcy administrators took control in February 2008. The Stile Bertone design center, which remains in the hands of the Bertone family, was not affected by the collapse of the contract manufacturing unit.